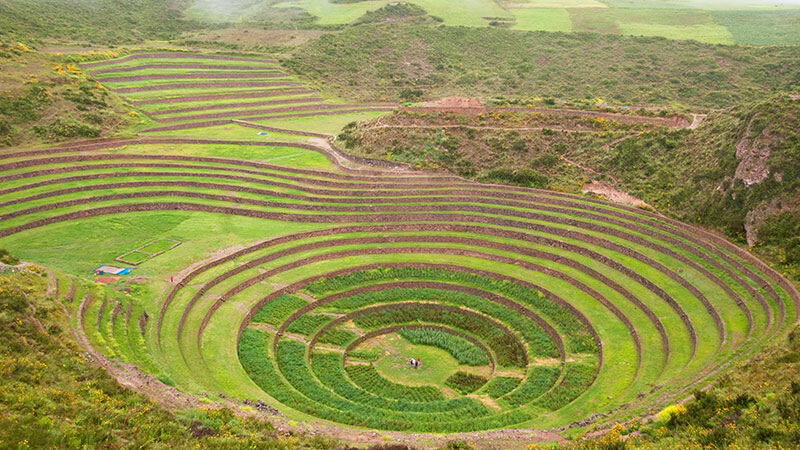 Everywhere you look in Cusco you can see how advanced the Incas were in their agricultural techniques, such as the terracing system and irrigation using aqueducts. 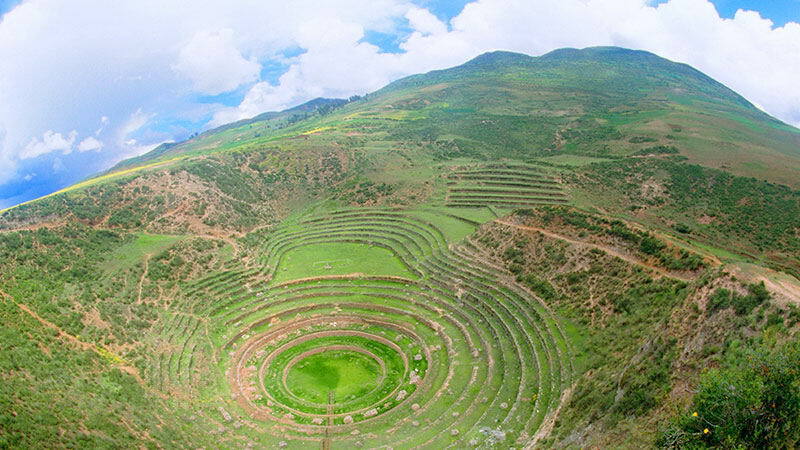 In Moray, for example, they used circular terraces that demonstrate the high level of culture the Inca civilization achieved. 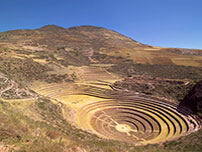 Moray is 4.5 miles from the town of Maras and 39 miles from Cusco. 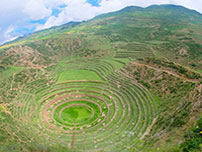 The main feature that impresses travelers is its system of circular agricultural terraces, which are up to 330 feet deep. They are build using retaining walls connected by an irrigation system. 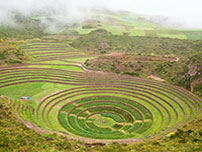 Moray can be considered a crop lab– they used the terraces to create micro-climates and grow various products. Altitude: 11,646 feet above sea level. Distance from the city: 39/ 34 miles. 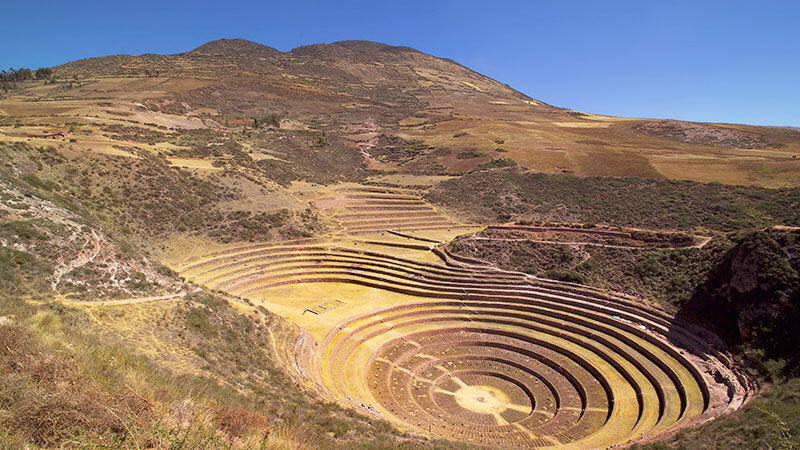 Moray offers many choices for those that want to explore its paths by bike and enjoy the pre-Colombian laboratory where agricultural experiments were conducted. Visitors can also take in its beautiful scenery on ATVs, an option that provides a more extreme experience.